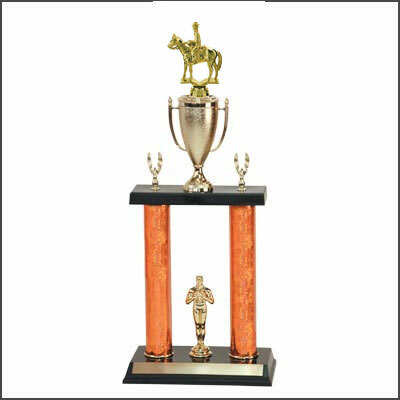 Two post trophies may be purchased in heights of 18 inches up to 30 inches. 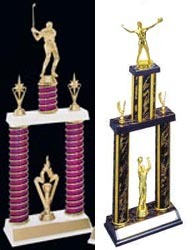 Figures are available for most events and competitions. We offer many color and style options, you"ll receive 30 characters of free engraving on each trophy. 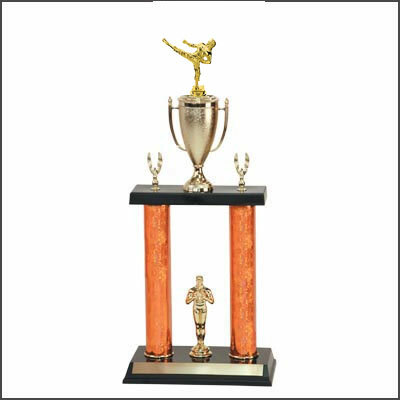 Trophies are priced according to height and figure options. The average order is shipped within 5 working days. We ship UPS or USPS for persons in Hawaii or Alaska and those with military addresses. Business hours are Monday thru Friday 8:30 am to 4:00 pm central time. Please visit the product pages below for more information on prices, height and style options. If you have any questions please contact our friendly staff at 1-800-787-8777 or by email. 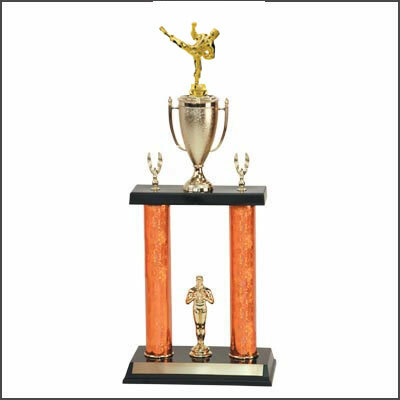 If after checking out the shipping cost seems excessive, please call 1-800-787-8777 or email. We do have a minimum of $10.00 shipping and handling charge.